Ace waiting for the start! We are deep in to the field trial mode now and having a great time. I run National Shoot to Retrieve field trials, when I am not hunting. 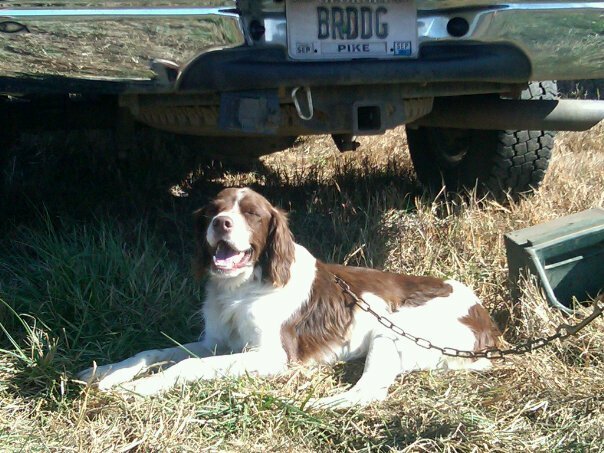 It's a good time with good friends all united by the common bond of working with your bird dog. Many who field trial don't have the time to get away for the hunt, or the money (although field trialing can cost some, too), or the knowledge of how to do it. Look up a local trial (NSTRA is all over the country) and try it!